I want all the foods when Thanksgiving rolls around. Turkey and ham, mashed potatoes and sweet potatoes, green bean casserole and stuffing. Cue the drool as I think about Thanksgiving dinner. Mom and dad always make the turkey and side dishes, so I bring an appetizer and dessert. 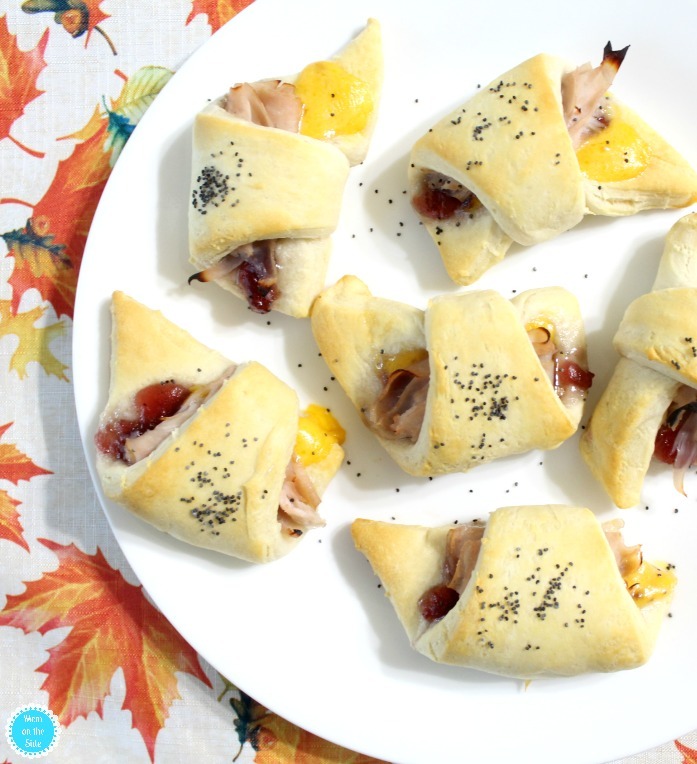 This year, I’m hoping these Cranberry Turkey Cheddar Crescent Rolls are a hit! Thanksgiving appetizers are always finger foods for us. Between preparing dinner, watching football, and playing our annual Thanksgiving Bingo Game we like to snack. Savory appetizers like these Cranberry Turkey Cheddar Crescent Rolls are deliciously snackable and super easy to make with Immaculate Baking Organic Crescent Rolls. 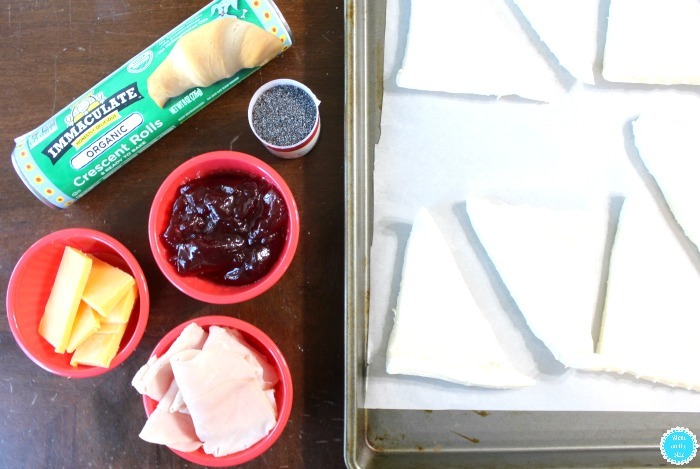 To make this crescent roll appetizer, I first unrolled them as if I was making normal crescent rolls. 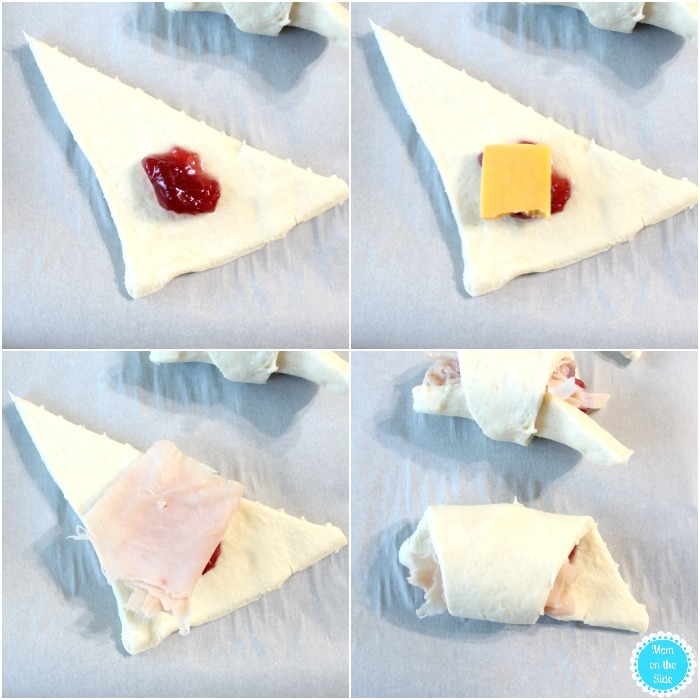 Then I layered the cranberry sauce, cheddar cheese, and turkey towards the wider end of the crescent roll. You can layer these any way you’d like and next time I’m going to place the turkey first and the cranberry sauce on top of that. Before tossing them in the oven, I pressed some poppy seeds on top of the crescent roll for a little for a touch of nutty aroma. Bake them accor ding to the directions on the Immaculate Baking Organic Crescent Rolls package, or until golden brown and oozing melty cheese. 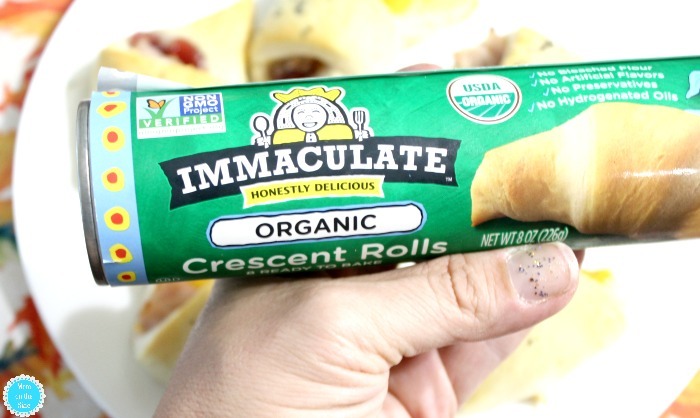 Pick up Immaculate Baking Crescent Rolls at a retailer near you, and whip these Cranberry Turkey Cheddar Crescent Rolls for Friendsgiving or Thanksgiving. They’d be perfect for all that leftover turkey you’ll have on hand too. 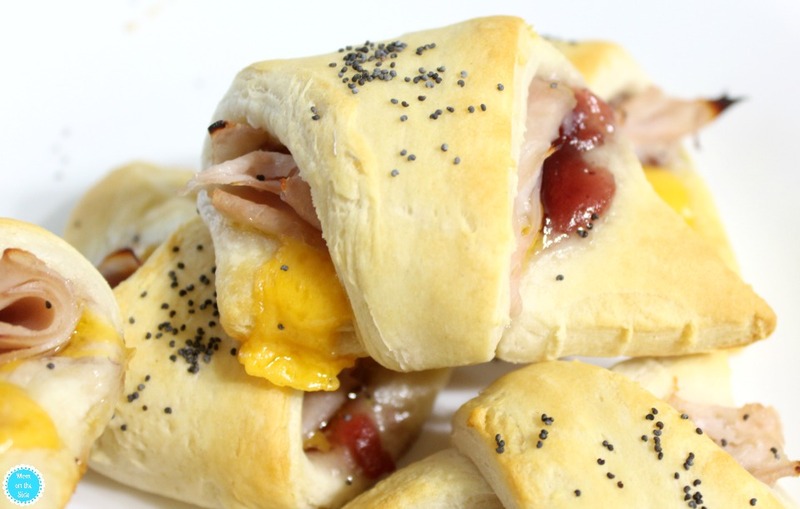 Pin these Cranberry Turkey Cheddar Crescent Rolls for Thanksgiving!